XGO Combat/Tactical T-Shirt and Underwear with FR (Flame-Retardant/Fire-Retardant) Moisture-Wicking Mesh Fabric and Antimicrobial Silver Fibers: Super-Comfortable, Stretchable and Breathable! (Video!) | DefenseReview.com (DR): An online tactical technology and military defense technology magazine with particular focus on the latest and greatest tactical firearms news (tactical gun news), tactical gear news and tactical shooting news. 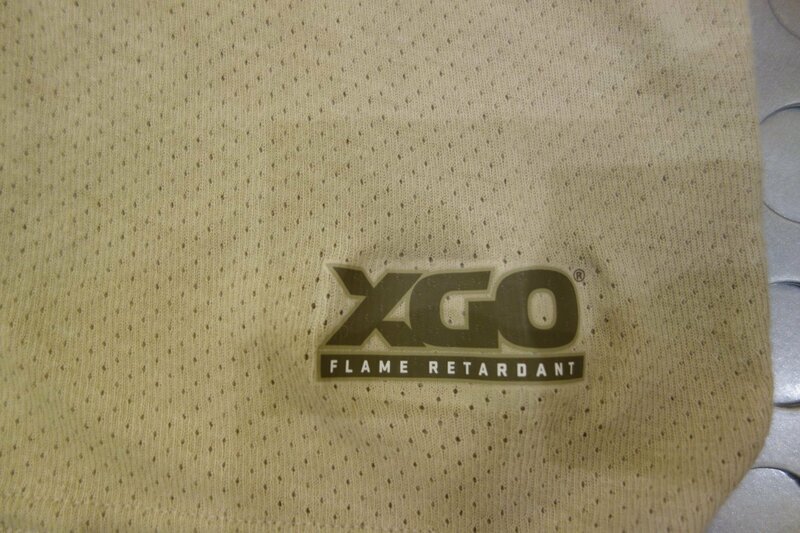 XGO, a FR (Flame-Retardent/Fire-Retardant) clothing brand of Longworth Industries, has a cool new line of FR mesh fabric clothing including combat/tactical t-shirts (short sleeve and long-sleeve) and boxer brief underwear. 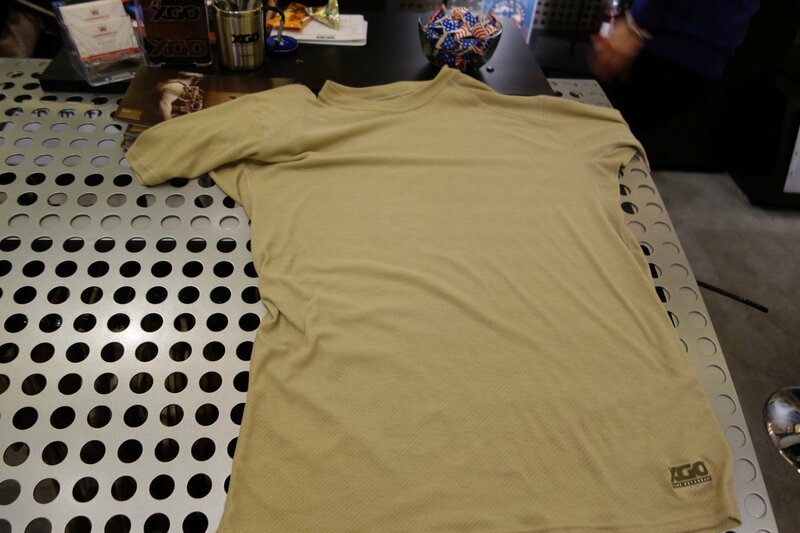 DefenseReview (DR) got to view and handle the new XGO FR mesh combat tactical short-sleeve t-shirt, specifically, and the material appears to be both super-comfortable, stretchable and breathable. 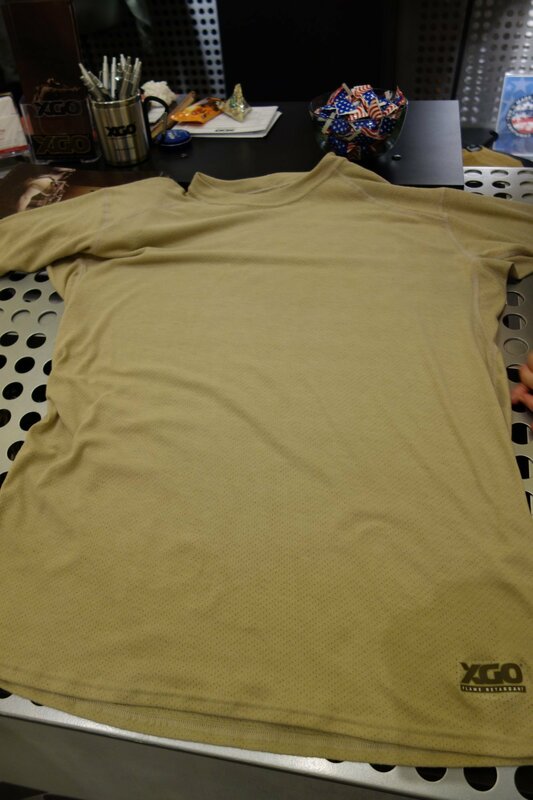 In fact, these new XGO FR mesh fabric tactical t-shirts look like they may just be the most comfortable FR shirts of this type ever developed. Of course, Defense Review would have to run them at the range (and around town) and compare it to our DriFire tactical t-shirts (long-sleeve and short sleeve) to see which one's are more comfortable, moisture-wicking/cool, stretchy, etc. In any case, the XGO FR combat t-shirts and underwear also incorporate antimicrobial silver fibers, except DR has no idea yet whether it's Noble Biomaterials X-Static, NanoHorizons SmartSilver, Schoeller active>silver, Swicofil smartcel bioactive, or some other silver fiber tech.